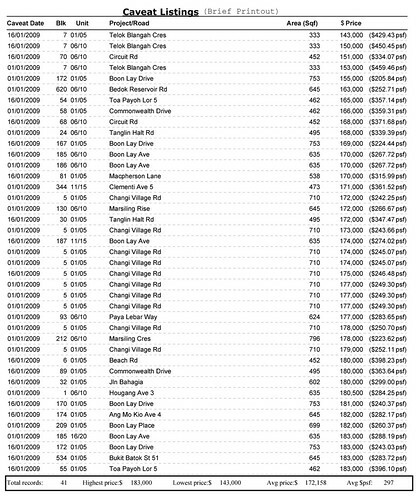 Below is the 41 cheapest flats logged in January 2009. 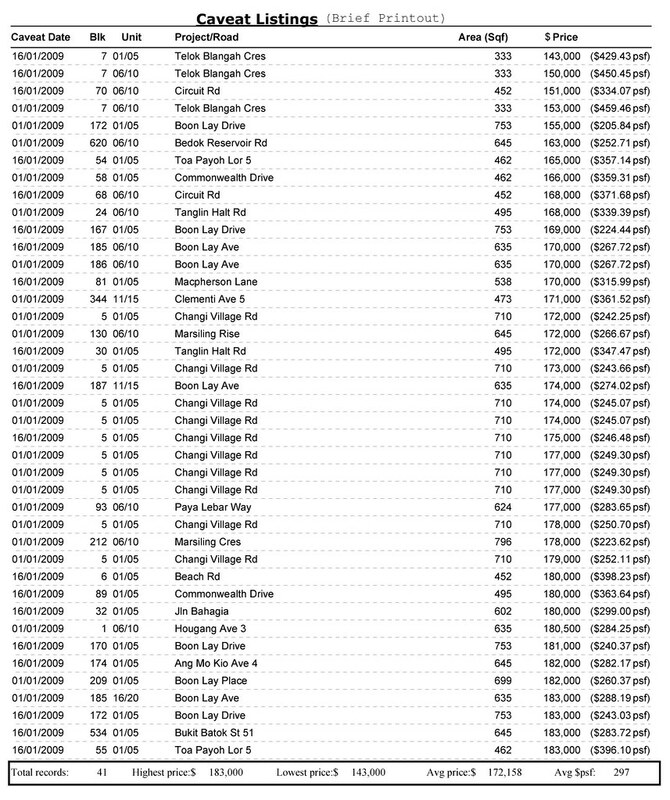 This entry was posted on Thursday, February 5th, 2009 at 1:36 pm and is filed under Housing, Singapore Watch ver 2.0. You can follow any responses to this entry through the RSS 2.0 feed. You can leave a response, or trackback from your own site. I do agree with all of the ideas you have presented for your post. They’re really convincing and can certainly work. Still, the posts are too quick for starters. May you please prolong them a little from next time? Thanks for the post. Didn’t know that the prices in Singapore where that high, wow.